came through admirably this year. 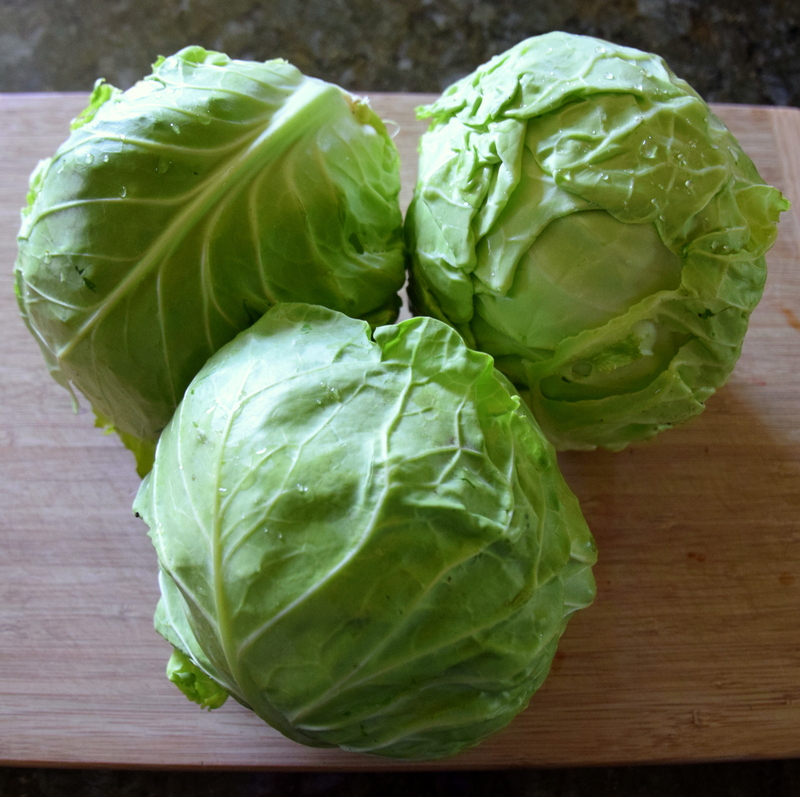 I love cabbage in all forms. My mother made yummy stuffed cabbage rolls. Too bad we can’t send you some! I have to give my husband credit, as he is the true ‘green thumb’ in the family and tends our vegetable garden. Each year of late, May has been cold and rainy. We didn’t get tomatoes and peppers planted until early June. My husband starts them from seed inside, so they do get off to a quick start once in the ground. We are hoping for warm weather crops to be as good as our cool weather crops were. Time will tell! You are off to a great start! All the rain really did the trick! I can only hope that our plants do well. We don’t have cabbages though. I hope they grow well, also! We are hoping it is! You had rain and heat and we had rain and below normal temps. But there are plants in my garden that have never looked better and have grown to jungle proportions. A couple of favorites however have got mold/fungus and have not survived. Your cabbages look wonderful! Thanks, Anne! We have lucked out with our cold weather crops. So it has comed to this, you are eating you models. They do look delicious! Thank you for sharing. Thanks much! My husband has been gardening for years using raised beds, a drip irrigation system and plenty of mulch. He usually harvests pretty good produce.